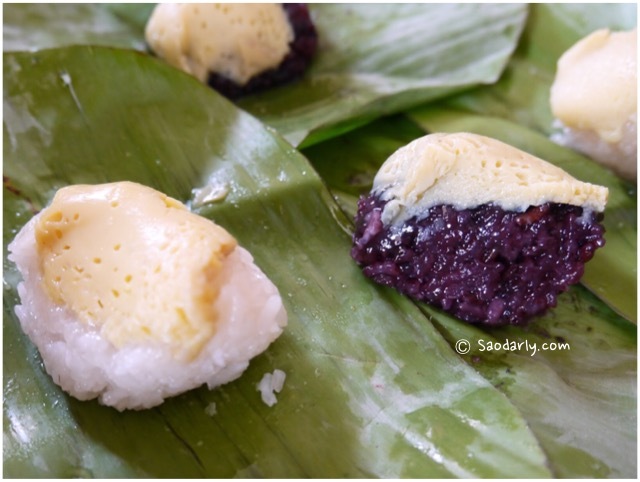 Khao Sangkhaya ເຂົ້າສັງຂະຫຍາ (sweet sticky rice and steamed coconut custard) for dessert in Vientiane, Laos. 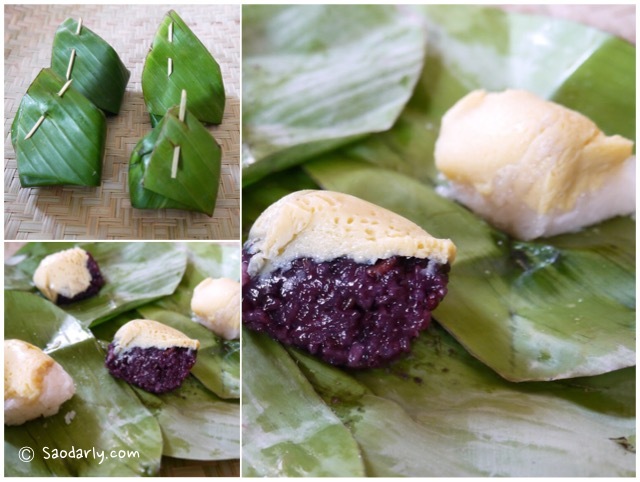 I wanted to make a video clip of how to make Khao Sangkhaya dessert during my recent trip to Laos. However, my two aunts were busy as usual during my visit to their house and didn’t have the time to show me how to make this dessert. I went to Vientiane Organic Farmers’ Market to buy some cooked food and desserts to share with my relatives. 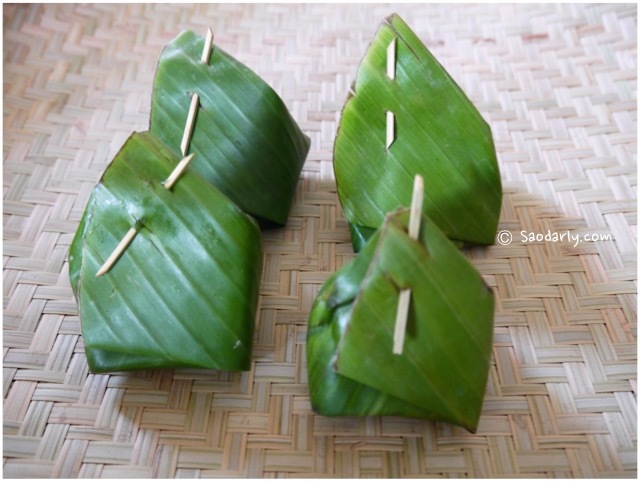 These small parcels are the perfect size for one person as dessert after lunch or dinner. 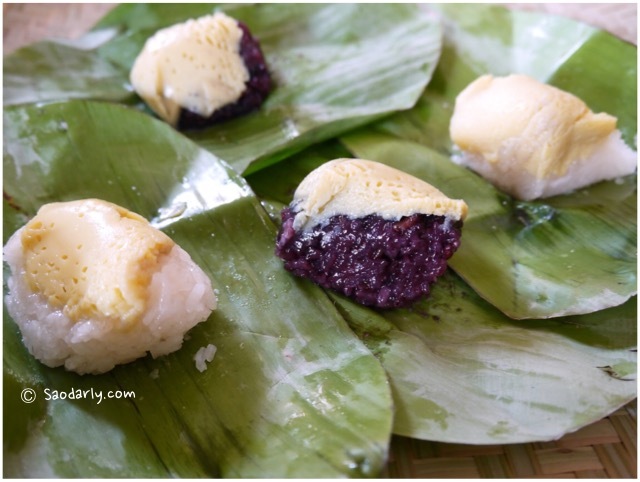 Of course you can eat a few of them for an entire meal if you have a sweet tooth and can’t get enough of the delicious coconut custard with either white sticky rice or purple sticky rice.